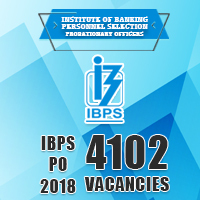 Institute of Banking Personnel Selection (IBPS) has released the most awaited notification of the year , IBPS RRB CRP CWE VII 2018 has been released now. Everyone will be reading the whole long notification released by the IBPS which would give the much needed insight and the procedure to apply for the IBPS RRB CRP CWE VII 2018 Exam. The various posts which are available under the IBPS RRB CRP VII – 2018 are provided in the list below. Please check the detailed exam pattern for all the posts in the IBPS RRB CRP CWE VII – 2018 from the table that is provided below. This RRB Exam is different from that of the other exams and those aspirants who find English as the tougher subject to crack , this is a golden opportunity for you. Candidates can opt either 4 a or 4 b. (i.e) Aspirants can either opt for English Language or for Hindi Language. Also Negative Marks are there for the Exams which is 0.25 for every wrong answer. No mark will be deduced for the unattempted Questions. * Online Prelims Exam & Online Mains Exam will happen. * Only the Final Online Mains Exam marks will be considered for Selection. * Final Selection will be based on the Merit List prepared based on the above criteria. * Single Level Online Examination will happen. * Final Merit list selection will be based on the Single Level Exam and also based on the Interview. Total of Single Level Exam and Interview marks. * Single Level Examination will happen. * Next Phase is Interview. * Final merit list will be prepared based on the Single Level Examination and the Interview. The end result will be based on the total marks of Single Level online Examination and Interview marks. For all the posts and vacancies available in the IBPS RRB 2018 , document verification will happen , so please fill the application of the IBPS RRB 2018 very carefully. 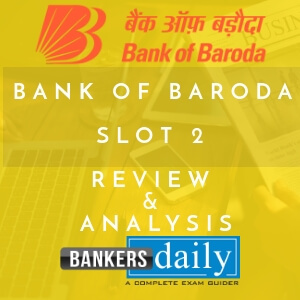 We have also posted the interview experience of the candidates in Bankersdaily where some of the aspirants have been sent in the document verification due to the mistakes they made while applying for the IBPS RRB last year. So be cautious while applying for the IBPS RRB 2018, please take your time and apply with filling all the details correctly. Please check the LIVE VIDEO which answers the QUERIES of the aspirants regarding the IBPS RRB 2018 Application. Check the Video now. Check the SHORTCUT video of HOW TO SOLVE QUADRATIC EQUATION from Jackson now .